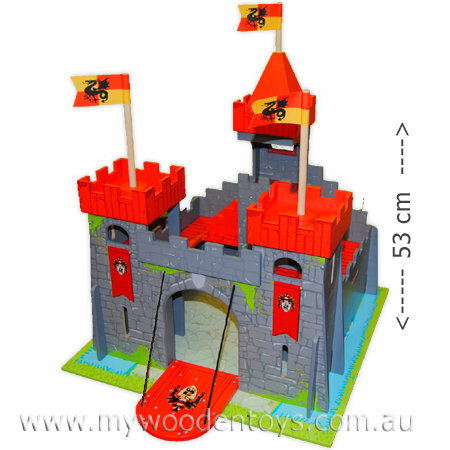 Dragon Claw Castle is a beautiful Le Toy Van toy, this grey stone red turreted wooden castle provides endless possibilities for imaginative play. The whole castle slots into a detailed base board giving a nice solid playing surface. A red draw bridge pulls up and down so you can keep your enemies out. Solid red steps lead to king and queens platform. Easy to assemble, taking apart and putting together is all part of the fun and learning. We like this because: "Castles provide a wonderful ground for bringing fairy tales to life."